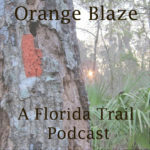 0: Why The Florida Trail? Welcome to the first episode of the podcast! In this short episode I introduce myself and talk a bit about the trail and where I see the podcast heading. Please check out the show notes below for more information and where you can find out how to hike the Florida Trail! Other Resources: links to my FT posts, the Trail Show Episode, and more! Great job! Enjoyed listening and am looking forward to future episodes! !